It has been a rollercoaster year for the AIC women’s rugby team. Going up and down with players quitting, red-shirts, injuries, and new coaches have been part of it. 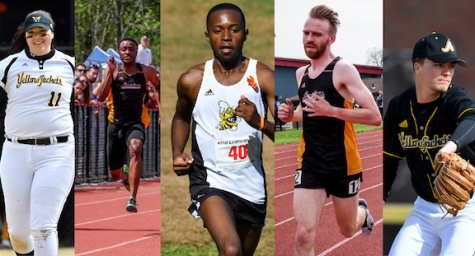 But overall, it is still an amazing team standing to prepare for a new generation of Yellow Jackets. During spring break, the women’s rugby team headed south to take on the Bermuda Tournament. However, before even getting the chance to go on this amazing adventure they had 15s season to prepare. The team basically worked every weekend, including time at Gillette Stadium, working the food stands for concerts, soccer games, and even Patriots games. While working 10-hour shifts, players stood on their feet and dealt with tough situations, only making them into better people. The season proved the dedication and commitment of the team. For sure, they weren’t forced to do anything they didn’t want to do. Also, some of the teammates that worked, knew they probably wouldn’t get a chance to go to Bermuda but still pitched in to help raise money for their teammates to go. The women’s rugby team has really begun to develop great chemistry and teammates have had each other’s back. 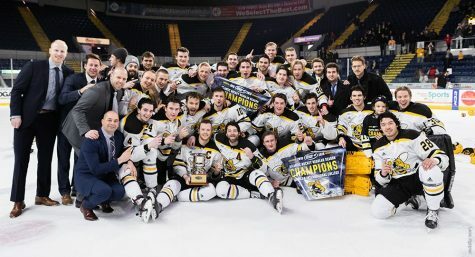 Even though they had a rough 15s seasons and lost a coach, they set a goal to stick together by communicating and making efforts to be there for the team. This sevens season has just only begun with a new coach, but the Bermuda Tournament was a wakeup call for most of the girls. They went out with only five days of practice to face five other teams. Going to Bermuda, the weather and environment were a shock – but didn’t change the girls’ game plan. There were many players on the team that on this trip experienced had their first trip out of the country –what better way than going to the beautiful island of Bermuda where the water is clear and the weather is extremely nice. The first day of the tournament was to get rid of the team’s the nerves, as well as providing the chance to see what worked and what didn’t work. They played three games and each game was played well. 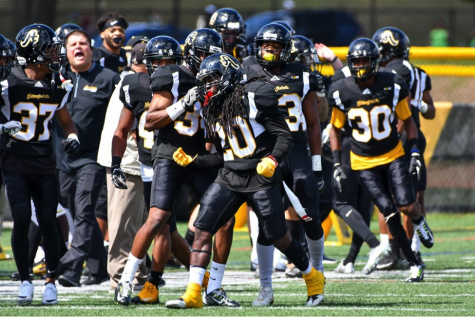 In the first game, AIC dominated Colgate 39-0; in the second game, AIC defeated Ithaca 29-5; in game number three, Bermuda was no match for AIC, as the Jackets won 36-7. The first game final score was AIC 39, Colgate 0. The second game of the first day was AIC 29, Ithaca 5. The Bermuda game was very interesting to play because there was so much going on, especially with two players down from being yellow carded. The AIC girls only had five thanks to the yellow cards, against Bermuda’s seven. On day two, the team was more confident in themselves and had their eye on the prize. The first game warmed the girls back up into the tournament with a final score of AIC 24, Colgate 12. The win gave the Yellow Jackets a berth in the semifinals, and it was yet another defeat of Colgate (29-0). At this point, the girls were so focused on the trophy and winning in the final. 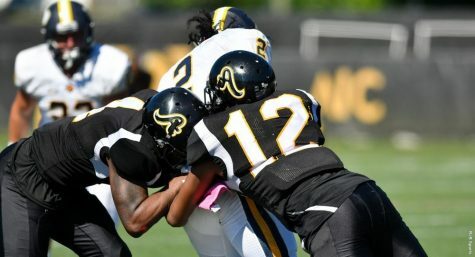 So in the championship game, it came as no surprise that AIC was able to come out on top over Bermuda, 19-17. Thus, the women’s rugby team was able to kick off their season as Bermuda sevens champions. Winning Bermuda Sevens for the Women’s Rugby team was a great accomplishment because they had worked so hard for it. With an undefeated 6-0 record in the tournament, the team showed their approach to this season with some hunger and their drive to win a national championship. Senior Shamira Robles, who captured six tries in the Bermuda Sevens Tournament stated her experience in Bermuda. 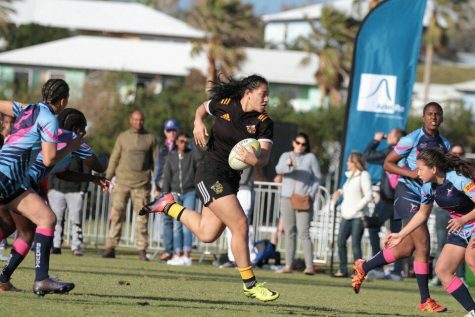 This tournament marked sophomore Siale Alatini’s first chance to play in a sevens tournament for AIC, as she was redshirted last year. With five tries throughout the Bermuda tournament, the young Yellow Jacket looks to keep driving and stay confident in her game. New Head Coach Tara Roberts weighed in on some of the team’s preparation. “We worked on basic principles of attack and defense, mostly as a refresher,” said Roberts. 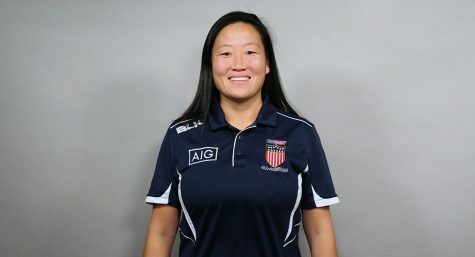 Having Coach Roberts aboard the women’s rugby program really brought some sort of lift and energy towards the team as she continues to challenge them each practice and make a huge impact on the team. Emma Milikowski can attest to those challenges on the practice field. “The preparation was as intense as possible with the time given, all of our players gave 110% effort because we knew we wanted to take Bermuda by storm,” said Milikowski. “The preparation for the team going into the Bermuda tournament was very pumped up and exciting. Everyone was organized and prepared to practice for the game,” said Aquino. Senior captain Bridget Kahele also weighed in, praising her new coach. The mindset of the girls was also very important going into this game. 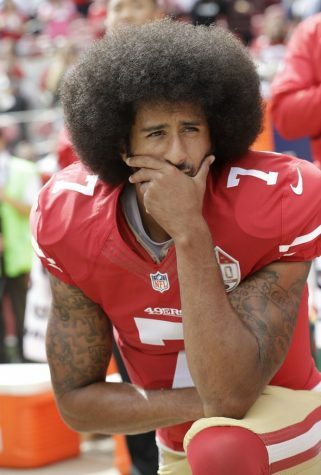 “I just wanted to give it my all physically and mentally, not just to prove myself but to support my team on the field. I wanted to start the season off strong and I believe we achieved that as a team,” said Milikowski. Aquino agreed, stressing confidence is key. “During my time in Bermuda, my mindset was me being confident, focused, and relaxed. To be confident in how I will play on the field, to focus on what I need to work on, and not be so hard on myself or make it any complicated,” said Aquino. While the girls were playing it was interesting to see how they performed and felt. “We have great individual talent but are also able to connect really well as a team. This is a very resilient group of athletes,” said coach Tara Roberts. 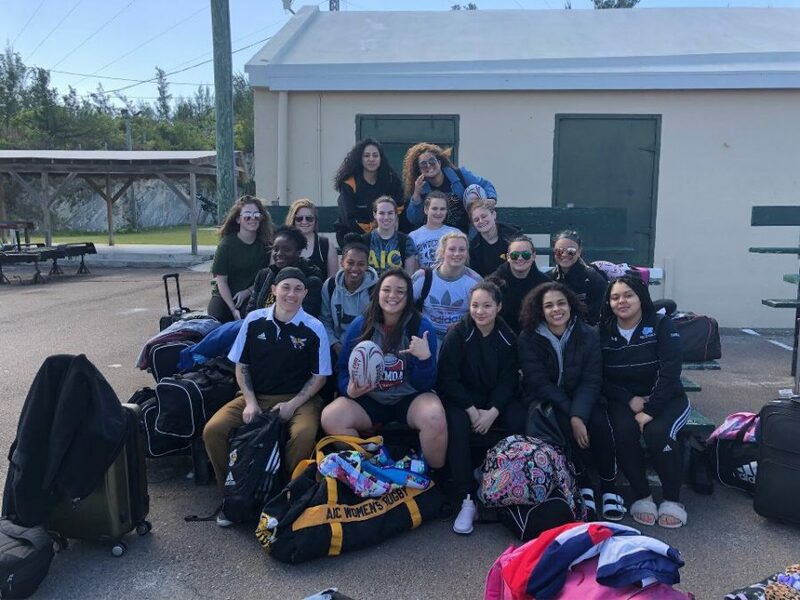 The bonding of this women’s AIC rugby team has definetly grown stronger – confidence and energy helped drive this team through the whole tournament. 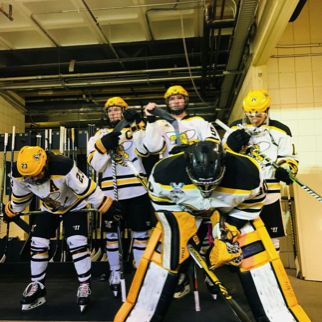 “On the field, I felt confident about the team’s ability to work together to win, as well as my own individual strengths to support my teammates,” said Milikowski. The team still does have a lot to work on and they know it. “Making sure we get technicalities and law pieces down pat; we don’t want to give away soft penalties,” Roberts said. Milikowski talked about what the team needs to do to remain focused and to keep the momentum going. “The team will definitely have to work to keep the communication up on and off the field, which has improved greatly so far. Also, on defense, we need to work on staying connected and watching the cuts back in from the opposition. 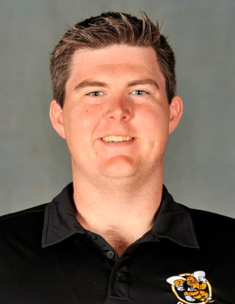 Offensively, the team will have to work on staying focused and calm to be able to make effective decisions during game time and keep looking to support each other on runs or in ruck situations,” said Milikowski. As the season rolls on, the women’s rugby team definitely has some big plans. “Moving on through the season: I am feeling excited about having so many opportunities to compete this season and we are looking to improve after each tournament. I am most excited, though, about our own tournament taking place on April 14. We want to get our community involved and show them what we can do,” Roberts said. Milikowski expects some challenges in the road ahead. 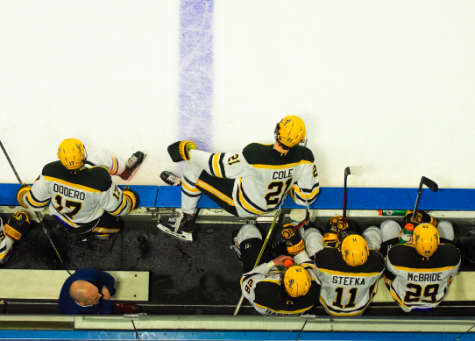 “I expect to have a tough season as we’re going up against some good competition, but I believe if we keep up the intensity and willpower we’ll be able to hold our own,” Milikowski said. But Aquino feels that the Yellow Jackets are battle tested for any roadblocks. “I expect our team to be prepared for whatever obstacle comes our way,” said Aquino. Overall, the girls had a great experience and are excited to see what’s to come next in their sevens season. On another note, the women’s rugby team would also like to send their condolences to St. Joseph’s University rugby 19-year-old player Mark Dombroski. Our hearts go out to all his family, friends, and teammates.